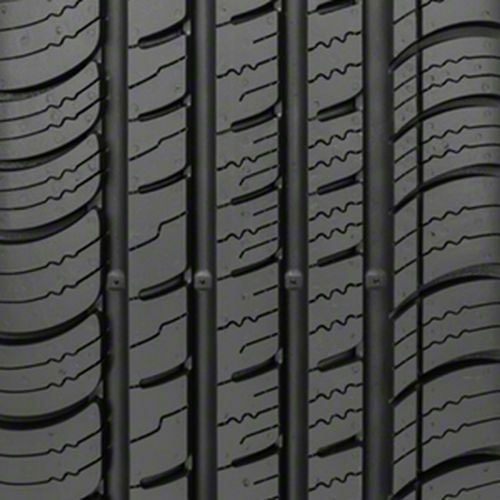 The Kumho Solus TA71 is a grand touring all-season tire specially developed for drivers looking for reliable handling, year-round traction, and comfort. 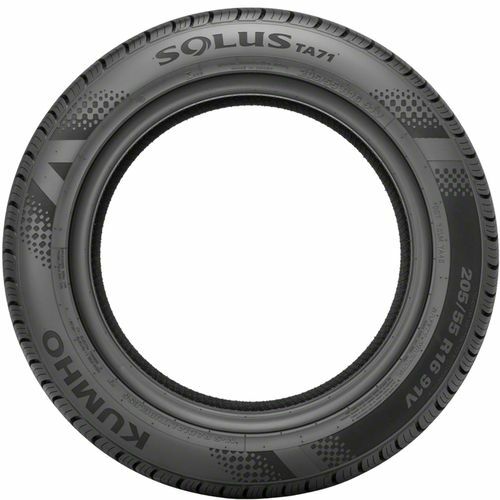 Ideal for sporty coupes and luxury sedans, the Kumho Solus TA71 delivers the comfort that you need without sacrificing performance. It features an advanced nano silica compound molded into an asymmetric tread pattern to promotes traction in both wet, dry, and snow-covered roads. To help the tire lasts longer is the special nano silica compound while the tread design creates a contact area to enhance grip and steering response during all weather conditions. Enhancing this even further are the four wide grooves which drain water efficiently while promoting hydroplaning resistance. It is backed by a 60,000-mile treadwear warranty. 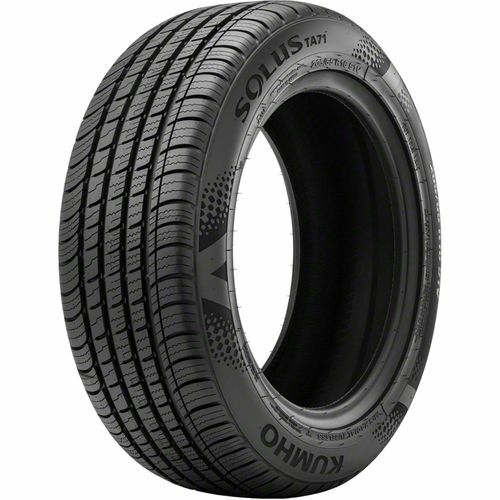 245/40ZR-18 500AAA 1,609 lbs 50 psi 12/32nds N/A 10" N/A 26"
Purchase includes the Kumho Solus TA71 tire only. The wheel rim shown in the picture is not included. Picture provided is a stock picture from the manufacturer and may or may not reflect the actual product being ordered. All Kumho Solus TA71 tires are continuously developing with manufactured improvements. With that said, Simple Tire and the manufacturers have the right to change these tire specifications at any time without notice or obligation. Please Note: Specifications of the Kumho Solus TA71 tires shown above are listed to be as accurate as possible based on the information provided to us by Kumho tires. I only owned the tires for about a year until my car got stolen with these tires on it. I had a 2013 Honda Accord EX-L sedan with a 4 cylinder. These tires replaced the original Michelins. They were a little quieter than the Michelins. However, the car seemed to wander when the Kumhos were installed. The only way I could deal with the wandering was to put more air in the tires than recommended. 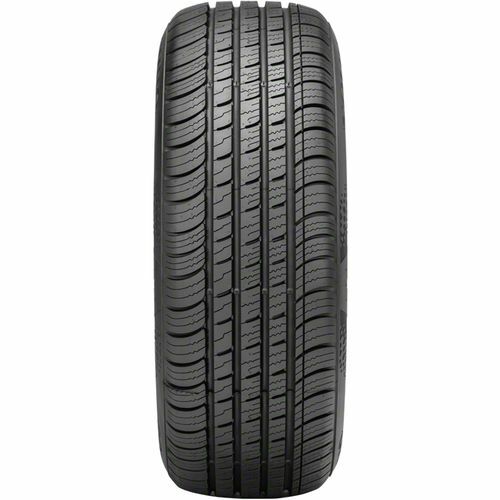 I would buy these tires again because of the low price compared to other major brands. By submitting a review, each person received a sweepstakes entry.